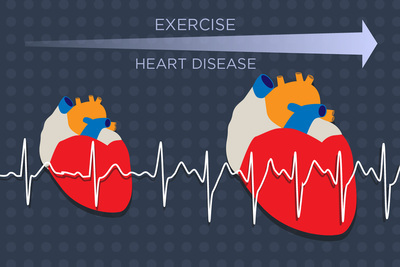 CHAMPAIGN, Ill. — The heart is a dynamic muscle that grows and shrinks in response to stressors such as exercise and disease. The secret to its malleability lies in individual cells, which get bigger or smaller depending on the heart’s needs. A new study of mouse hearts reveals a previously unknown mechanism by which heart cells control their size by ramping up or stopping the production of a key factor called PABPC1. 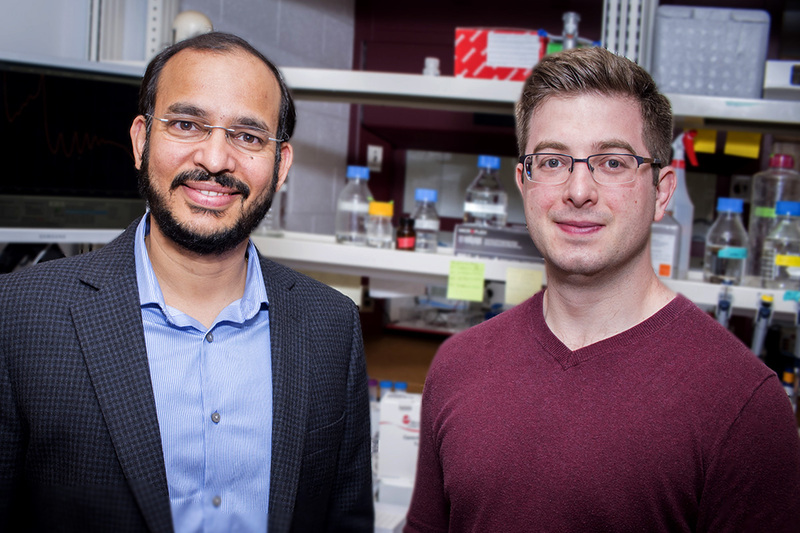 University of Illinois biochemistry professor Auinash Kalsotra, left, graduate student Joseph Seimetz and their colleagues identified a mechanism that allows heart cells to grow larger by producing more proteins. 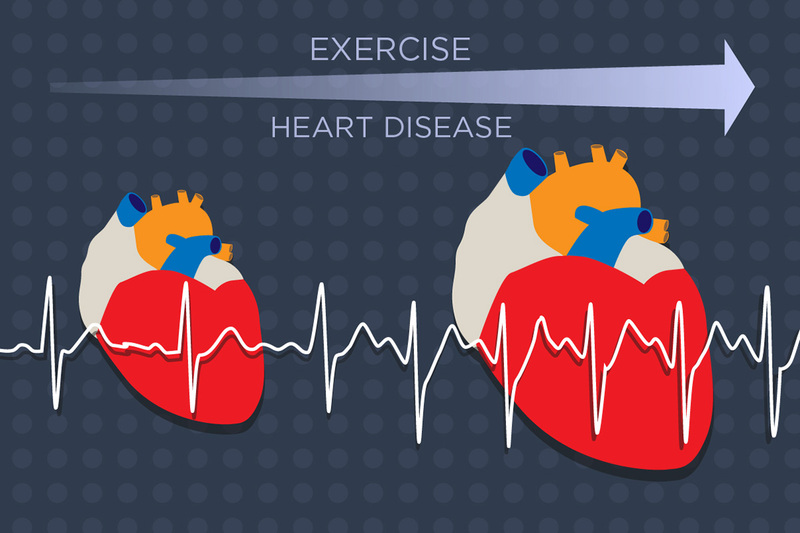 “Our study revealed that the protein disappears in adult heart cells, reappearing only when the cells need to grow during exercise and disease,” Kalsotra said. “The finding explains why heart cells produce much lower levels of new proteins than other tissues in the body, a fact that was known but not understood until now,” Seimetz said. 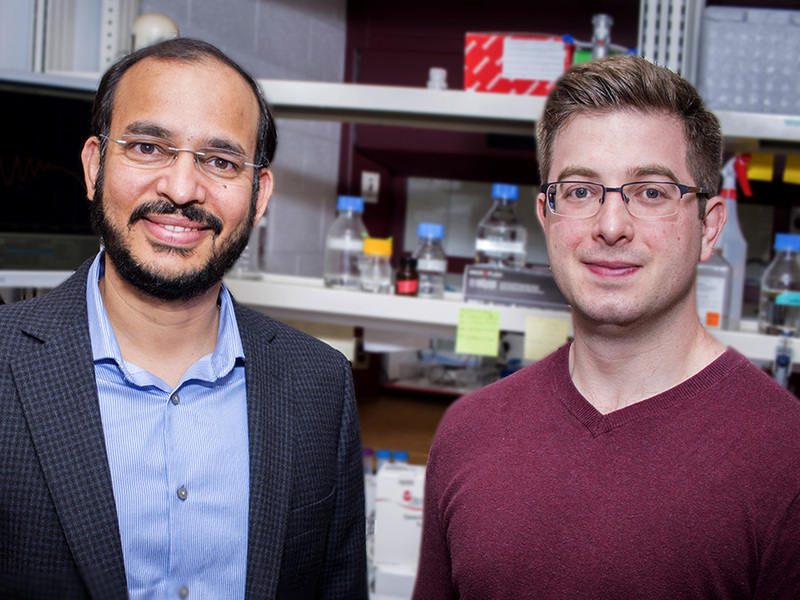 “The finding that PABPC1 is usually not present in adult heart cells until needed for growth suggests that if you could control the function of this protein, then you could promote healthy growth and prevent disease,” said Kalsotra, who also is affiliated with the Carl R. Woese Institute for Genomic Biology at Illinois. The paper "Poly(A) tail length regulates PABPC1 expression and tunes translation during heart development and cardiac hypertrophy” is available online or from the U. of I. School of Molecular and Cellular Biology.